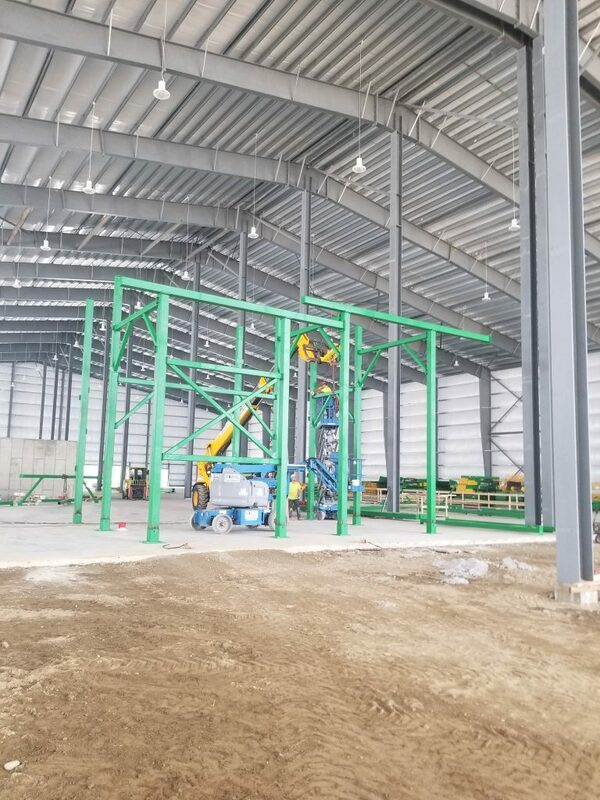 Earlier this summer, CP Group broke ground on the installation of the advanced material recovery facility that will be the front-end system for Fiberight’s waste processing and refining facility. This site will feature Fiberight’s first full-scale operation of its biofuels and biogas processing systems. Serving 115 municipalities, the 144,000-square-foot Hampden, Maine facility will feature the latest technologies from CP Group to recover recyclable commodities and prepare residual waste for further processing on-site. “I have known and have worked with CP since the 1990’s on various jobs. CP is an engineering-focused company, which brought great value and utility when working with Fiberight to create a flexible design that is optimized for our unique processing needs,” said Craig Stuart-Paul, Fiberight CEO. The recovery system features a CP Trommel Screen with bag-opening knives, a steel-disc CP OCCScreen™, the new non-wrapping CP Auger Screen™ used to size material in place of a traditional scalping screen, two CPScreens™ for 2D/3D separation, the abrasion-resistant CP Glass Breaker to remove glass and fines, and 4 optical sorters. Two MSS CIRRUS® PlasticMax™ optical sorters will recover PET and HDPE, one MSS CIRRUS® FiberMax™ optical sorter will sort and clean fiber, and one MSS CIRRUS® will be used as a scavenger optical sorter to recover any remaining commodities. “The system is a blend of traditional and new equipment to provide Fiberight with flexibility for changing markets with extremely low-maintenance and durable machines,” stated Terry Schneider, President and CEO of CP Group. Fiberight’s proprietary anaerobic digestion and biogas technology is the first commercial process to convert organic wastes to biofuel and refined bioproducts. Residual waste at the facility will be processed by Fiberight’s technology, upgrading the MSW residue into industrial bio-energy products. Fiberight anticipates landfill diversion of up to 80%. By designing the plant to be adaptable based on future market trends, this state-of-the-art facility will be well suited to handle changing market conditions, particularly because it is capable of upgrading mixed paper to pulp-based products. CP’s installation of the material recovery facility will take just over 3 months, with a forecasted system startup date in Q4 2018.